Gracie Otto’s The Last Impresario was a documentary I wanted to like. But, I simply had a hard time buying it. I like her film’s subject, Michael White, and I’ve grown to like a lot of the projects he’s produced. I admire his eye for originality, and how far he bent his back to make sure provocative artists were heard. He took underdog productions like The Rocky Horror Picture Show, Cambridge Circus, and Oh! Calcutta! and gave them outlets to introduce them to mainstream crowds. The work sent paying patrons into a state of shock and awe, but everyone could agree they had seen nothing like it. White had a sharp sense for projects that would have longevity – whether that was intentional or not. The Rocky Horror Picture Show would go on to have a highly successful film adaptation that raked in over 100-million dollars at the US box office, and White’s contribution to Monty Python and the Holy Grail helped keep the oddball comedy afloat to cult status. I like most of the people Otto interviewed for her doc, and they all seem to hold great admiration for their buddy, Michael. They compliment his content personality, his peculiar quirks, and his willingness to be a trusting friend. Although these kind sentiments provide The Last Impresario with lots of good intent and heart, this also leads us to the film’s major problem and why I can’t completely embrace Gracie Otto’s film. 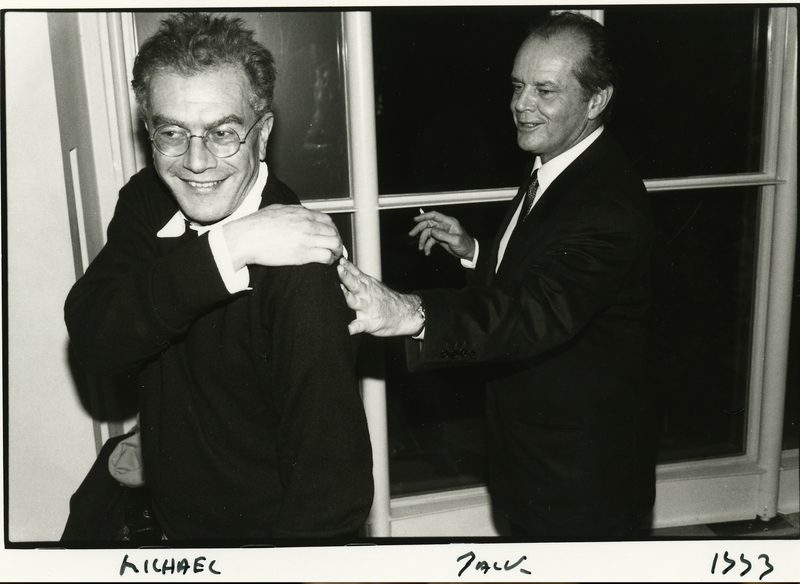 The Last Impresario works as one gigantic warm fuzzy for Michael White. While this film may make for a pleasing piece commemorating the producer, Otto doesn’t look at the big picture from any other sort of angle. The Last Impresario marks her directorial feature film debut, and this film shows none of what her skills may be as a filmmaker. I’m unsure if she’s either too scared to dig deeper or if this is because of her inexperience. She also has a way of asking questions that got under my skin. She shouts her inquiries with no lead-in, making her interviewing process take on a crude quality. Sometimes the shouting is necessary (White is currently partially deaf, and sports a hearing aid), but otherwise, there’s no need for this type irking. I can tell you Gracie Otto is a filmmaker who is more comfortable with rehearsed shots rather than on-the-fly shooting. Her interviews have a unique tendency to their framing, and she’s able to set a comfortable mood for her interviewees which include Kate Moss, Naomi Watts, Yoko Ono, John Cleese, Lou Adler and Richard O’Brien. I really appreciated her pressing outlook on White as someone who lives through Polaroids. She’s animated White’s collection of photos, which adds pizazz to the film’s pacing. The content about The Rocky Horror Picture Show are the most fascinating bits in The Last Impresario, as are the facts about Monty Python and White’s work with more risque performances. And, even though the facts are introduced too late into the film, I was grateful Otto included some of White’s flaws with finances. It showed there’s more to her subject than just being “a nice guy”, which her polite documentary pitches to us over and over and over again.